"There is great beauty in being yourself." 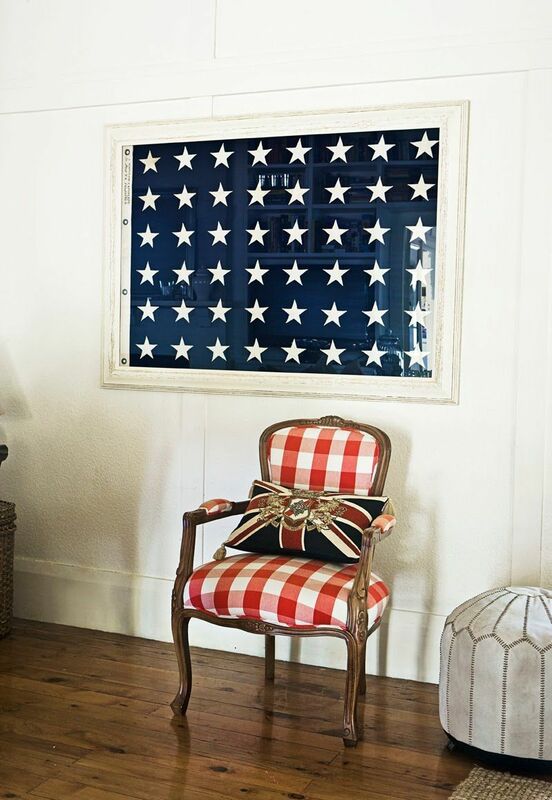 To celebrate the upcoming holiday we wanted to highlight our All American inspiration this week. Besides the classic red, white, & blue hues we wanted to showcase the blissful feeling that America has on our lives daily. Being free to is the true American dream. There is a magic quality in subtlety. Peace, it does not mean to be in a place where there is no noise, trouble, or hard work. It means to be in the midst of those things and still be calm in your heart. Oh to live a care free life! If that tropics were not your destination before they are now. Whether it is from the healthy green vegetation or the cool blue ripples in the surrounding waters, we are drawn to the lush vibrant hues. The colorful atmosphere just takes our breath away. Bright colors and intricate patterns provide so much depth in details large and small. Figures are such great examples of volume. No matter how many components, the structure and emotion an image conveys is astonishing. For our journal entry this week we were driven by the simplicity of aggregates, in particular the vibrant beauty in few of Tim Walker's photographs. The dramatic contrast between black and white, soft and sharp, rigid and fluid bring sophistication to this monotone palette. The irregular and intimate qualities of matter inspire us daily because of the ability for us to see their deepest meaning they possess. For our journal entry this week we wanted to explore the time when these irregular pieces create a structure that harmoniously balances all aspects of composition, form, and style. Our world creates such wondrous matter that calls for recognition. The free flowing essence of the Scottish countryside takes a hold of our visionary disposition this week. We are inspired by the serenity of the desert atmosphere. The neutral palette is sophisticated yet raw. Every picture has a focal point, something to draw our attention. With this week’s journal entry we wanted to focus on strong images that deliver power & have an energetic force. Images that represent minimalist characteristics inspire us daily because it opens our minds to think more about the awareness & emotions conveyed rather than just having our eyes move from one aspect to another. Modern minimalism gives us a strong platform to produce images in our stories that have everlasting depth. We are inspired by the structured geometry and deeply textured elements of military fashion, art, and architecture. The earthy hues and hazy neutrals provide a striking palette. The profound drama of Osborne+ Little’s Butterfly Garden print guided us on our inspirational journey this week. With springtime approaching we cannot get past the gorgeous florals highlighting our social media feed. The colors in bloom excite us for new things to come. Florals will always be a living part of our design aesthetic because they remind us that beauty is always present and evolving. Come explore with us! We are inspired by gardens as a hideaway and place to wander. The soft sea breeze and faint horizon are so beautiful, we are drawn to the sense of adventure they encourage. The sky always sems to beckon a maiden voyage. Dreaming of beautiful things is a reoccurring thing for us. We come across imagery everyday and enjoy the wonderful presence and attention it creates. Just like imagery, our dreams have so much structure and substance. It attaches us to a time and place that brings forth emotions, ideas, and sensations. Sometimes they are hazy but other times details resonate in our memory. We are especially drawn by the movement of the chiffon dress walking down the path to the half filled glasses at a party that seems to advance into the long night. These images feel like a dream waiting to happen. The dappled light, texture, and high contrast of the atmospheric conditions of the forest are so enchanting. We are inspired by the fresh yet rustic vibe of the wood, brass, and striking green hues paired with subtle neutrals in this palette. Coincidentally a trip to New Orleans is in our near future and we cannot stop thinking about the richness it radiates. Instead of visiting Mardi Gras celebrations, this journal entry took us deep into the vine covered arches of past craftsmanship. Everything looks like it is placed by hand such as the laid bricks to the hand beaded embroidery. The velvet texture & intense red flowers bring about warmth to a sometimes cold & misty atmosphere. Just looking at these photos makes us want to enjoy this spectacular moment in time for as long as we can. For the first time ever pantone released two colors for the year- Rose Quartz & Serenity. These two colors evoke a calm yet rich atmosphere when paired together. This is our take on the romance of these two hues. Color is a big part of our fine art curation stories. The honeyed natural of caramel drew our attention directly. It can grant a warm presence or the high saturation can bring forth profound movement. Light helps progress this hue into a whimsical palette that achieves a beautiful charisma worth catching notice. Caramel hints at the absorption of copper glaze but also can also bring out a sense of champagne irradiance. You get the best of both color complexions. We are creators first. We imagine, source, and direct design to create delightful experiences and eloquently captured occasions. Our ingenuity and magnitude for telling stories sets us apart and bringing elements of beauty together is something we have harvested a passion for. Seeing eventful moments in life from start to finish with fine art details and meaningful compositions is our specialty. We are fine art stylists, visual curators, and we just love to make refined beauty. We believe design should always yield a palette of hues, structure, scene, and composition. This year we plan to reveal parts of our creative process and what visually moves us so stay tuned as the journal portion of our site starts next week. This first journal entry marks a year since we launched our site. We weren’t sure what the year would hold but we have learned a lot, been on top of the mountain and in the valley, and most importantly we have grown as a team. Towards the end of the year Lauren moved to Austin, TX where she will grow the business in the south while Elaine will continue to build on our midwest presence. We have had the privilege of collaborating with so many talented artisans and we look forward to what the next year will bring.